Inside: During certain seasons of motherhood, the clean house falls by the wayside. 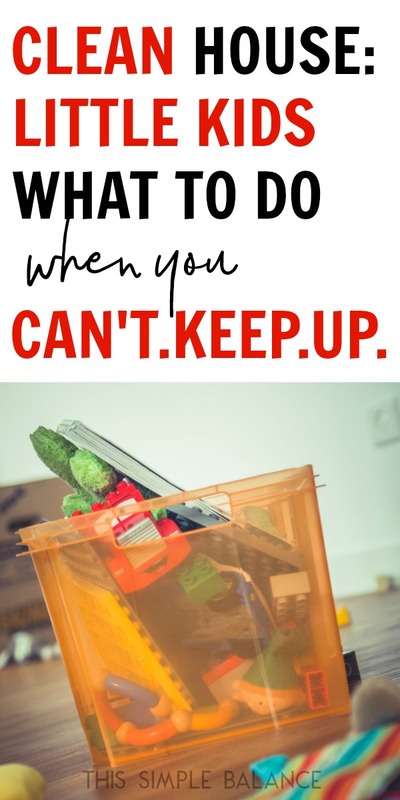 If you are struggling to let go of your clean house expectations, follow one mom’s journey to stop obsessing over a clean house. I just came across yet another weekly cleaning schedule, one I haven’t tried (this is actually astonishing). I give it a shot. Maybe this will be the one. Monday is great: I cross my daily cleaning task off the schedule with a sense of accomplishment and satisfaction. This is totally doable. Yes! 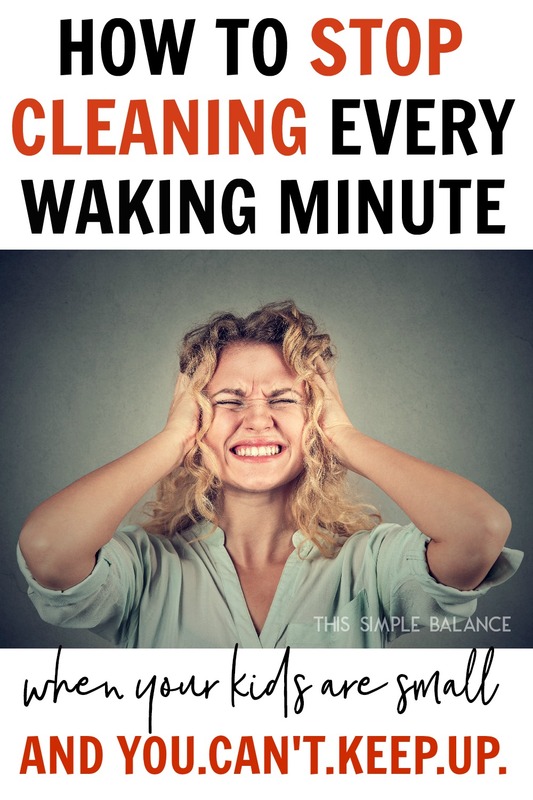 A cleaning schedule that works! I missed Tuesday’s cleaning task. First, the toddler melted down in response to the day’s breakfast offerings. I kicked myself. I knew I should have gone out the night before for bread (one of five foods he actually eats) instead of going to bed! Finally the toddler calms down. But now I realize that the preschooler decided to take a black sharpie to his entire body while I was dealing with the toddler. “I want to be a spy,” he says with a very serious face. Into the tub he goes, but I know those marks won’t come off for a month. At lunch, two kids spill their milk before they even touch their sandwiches! I wipe down the island and the floor (at least one section is clean), but after lunch I’m too tired to wipe the table down again. I decide it can wait until rest time. During rest time, each kid comes out of their room in 10 minute increments for completely different reasons that somehow occupy an entire hour. Do they secretly plan that?! After the rest time that was not at all restful, it’s time for arts and crafts. One child decides this is the perfect time to throw the entire box of mini shape cut-outs into the air, just because it’s fun. Another loses three glue stick caps. For the love of the money I spent on said shapes and glue, we (and by we, I mean me) spend the rest of the afternoon rescuing all those teeny tiny shapes and finding the glue caps that have managed to roll all the way under the couch. Did I mention the baby didn’t nap today? Thank God for my Ergo. I look at the clock – oh, it’s already 4 p.m. Shoot! I forgot to defrost the chicken again…how did that happen – yes, toddler melt down, now I remember. Time to stand in front of the fridge and wait for an idea to come to me…nothing comes. I guess it’s take-out again, which we can’t really afford. But we’ll have to find that money somewhere because I’m going to go insane if I have to cobble together a meal from the randomness that is our pantry, and daddy will be cranky if there’s no food when he comes home. And God knows one of us needs to be happy. The take-out arrives. I plop it down atop the crumbs from lunch (why are they there again? oh yeah, spilled milk). After dinner, the bedtime battles begin. When the kids are finally asleep, I go into the partially cleaned bathroom and try to ignore the dirty sink. At least the counters are clean. Exhausted, I fall into bed and hope the baby will sleep a couple of hours, at least. Half a cleaning task completed? So the bathroom is half cleaned, which means I can’t actually cross it off my cleaning schedule. This means I’m already behind two days in. I’ve tried so many schedules, but none of them last longer than a few days. I feel so defeated. In a few days, I’ll muster up the motivation to find another one that could maybe, possibly work. But I’ve kind of given up…. Did any of that sound familiar? And some people wonder why I can’t manage to clean an entire sink, let alone bathroom? These people, God bless them, don’t understand what it’s like to be a stay at home mom to multiple children under the age of 7. They don’t understand the constant defeat we feel because that kind of improvisation and shifting doesn’t need to happen just once in a while. It has to happen EVERY. SINGLE. DAY. Oh, they may have had little kids once upon a time, but age gives us the amazing ability to forget. It’s why we keep enduring pregnancy and labor, for heaven’s sake. So while I love those people, I look to fellow mamas of littles for sympathy, for advice on how to cope. Only other moms with young kids know what it’s like to clean up the same messes constantly. Every day, over and over again. You wipe the counter only to have it dirtied five minutes later. You wash the sheets for the first time in a long time only to have a kid wet the bed that same night (thankful it wasn’t puke!). And these are just putting out fires type of cleaning. Every day (or minute) messes. Forget the regular cleaning, and especially forget the deep cleaning. I promise I used to be a clean person. I actually enjoy cleaning. If you landed on this post, you are probably the same way. You love a clean house, and you never ever thought you would compromise that cleanliness. But as the number of kids increased, you just couldn’t keep up. Finally, one night during my daily (just pick up the house and clean the kitchen) cleaning session, I stopped. I had been scrubbing my stove for over ten minutes when I looked at the clock. It was 10:30 p.m., and I literally had not sat down all day, which wasn’t unusual. The situation wasn’t going to improve any time soon. I wanted more kids, and I chose to homeschool. Therefore, we are home all the time, and the messes just keep on coming. I’d heard about self-care for moms. It was important, they said. I laughed cynically whenever I heard it. When am I supposed to have time for self-care? I spend my whole like wiping butts, teaching kids, and cleaning! Then I listened to Sally Clarkson talk about her book Own Your Life. You are not a victim of your life, she claimed. We all have choices to make, regardless of our circumstances. I needed to make a choice: I could spend every day from dawn til dusk taking care of kids and cleaning the house, or I could choose to make time for me. So I did. I chose me. And since the “taking care of the kids” part of my job isn’t optional and cleaning is, cleaning had to go. I caught up with a good friend recently who has similar perfectionist tendencies. This friend also loves a clean house and works hard to keep in that way, often leaving her exhausted. She shared with me about one of her recent counseling sessions. The counselor asked, “Jenny*, what would happen if you didn’t make the bed today?” It had never occurred to her that she could choose to not make the bed. It simply took someone else questioning her inner “shoulds”. Someone else finally gave her permission to stop making the bed. She realized that the world wouldn’t end, and the bed would still be there every night to sleep in, just with the covers already pulled down. She stopped making the bed the very next day. So in that same spirit, I give you permission to stop. Stop being a slave to the cleaning schedule, and just breathe. What one room/area bothers me most when it’s dirty? What really grosses you out? 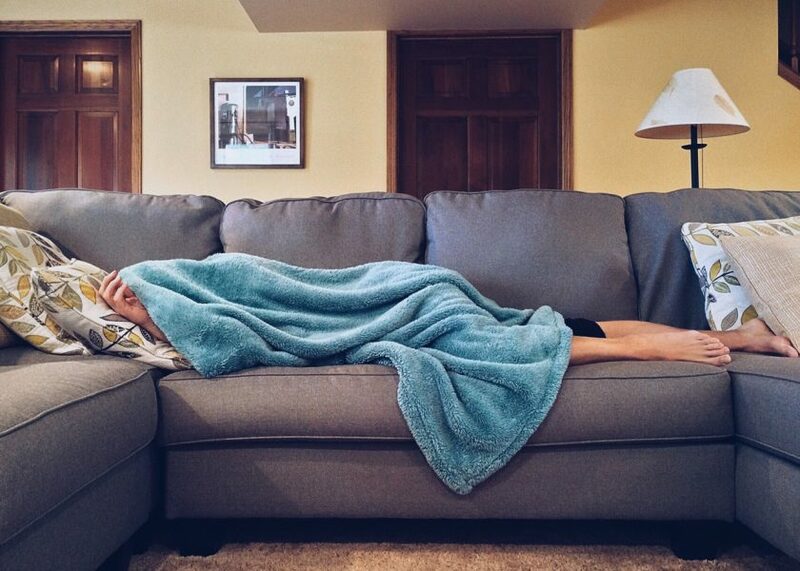 What part of the house, when messy, really sets you off? This can be anything from a whole room, to a single counter. If our main bathroom is cleaned weekly, I feel a million times better about life. There’s just something about knowing the bathroom is clean for all of ten minutes on a weekly basis that makes me feel like I’m doing a good job. The rest? It happens sporadically, when I have the time and motivation. When I get tired of stepping on crumbs on the kitchen floor, I sweep it. When it occurs to me that the living room hasn’t been vacuumed in a month, I vacuum. When I can’t stand the piles on the dining room shelves any more, I return everything to its place. This season of life is all about priorities. You see, you really can’t do it all. Even if you could, do you really want to live these little years exhausted, burned out, or resenting the very babes you wanted for so long? 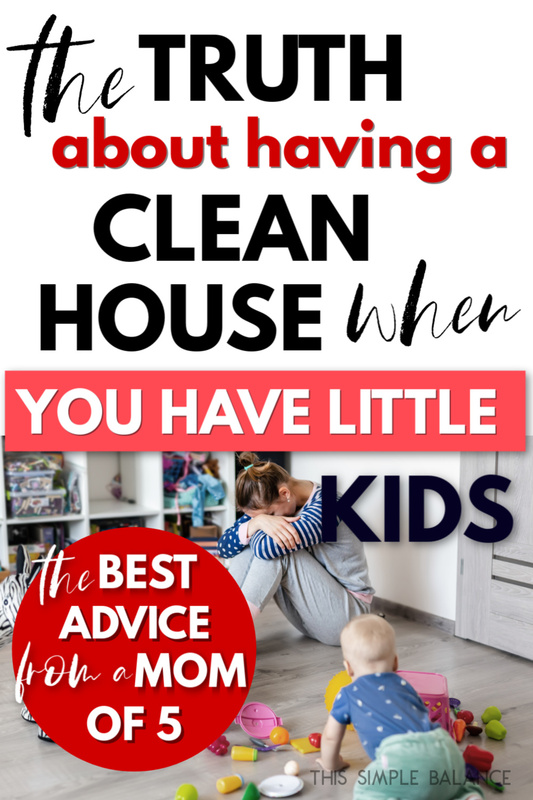 So my advice, moms with little ones, is to scrap the cleaning schedule, pick your one thing, and make room in your life for you. Read Next: Yep, Your Kids Do Watch Too Much T.V., and They’re Gonna be Fine. Time than I like 😉 ). I will continue to follow you and the raw real life that you share. For now, I should probably find sleep. Love that you’re keeping it real! It is important to realize that ALL the seasons of life can’t happen at the same time, so live in the one you’re in. Thanks Audrey! One day, I’ll have a clean house again.